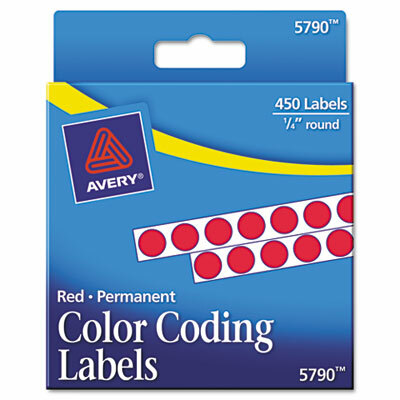 Ideal for price marking, routing, organizing, highlighting, scheduling and more. For reliable cover-ups and lasting IDs. Sticks to bottles, cans, cartons—most smooth surfaces. Permanent adhesive ensures labels stay in place. Label Size - text 1/4" dia.